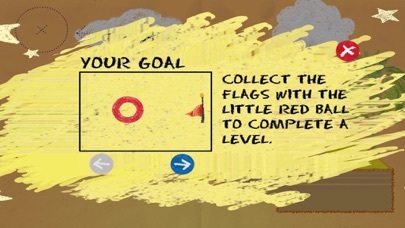 Collect the flags with the little red ball to complete a level. Move the red ball by drawing objects and pushing it around. 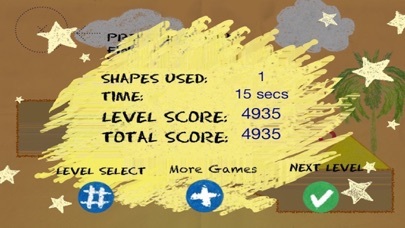 Press and move on screen to draw. You cannot draw inside other objects. To draw a circle, press and stay where you want the center to be,wait the circle grows. Pins and hinges connect objects. A pin fixes the two objects, and a hinge allows rotation. You can put them on the ball too. Press the "pin" button to switch to pin mode, the place the pin where you want. Then draw a figure on top. Press the "hinge" button to switch to hinge mode and place the hinge. Then draw a figure on top. 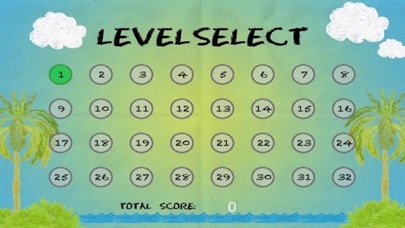 Press the "erase"button then press inside a shape,pin or hinge to erase it. 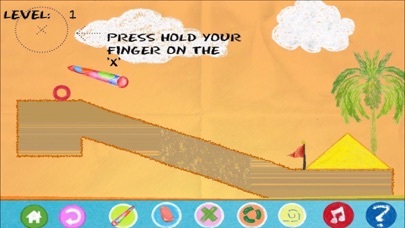 You switch to "normal" pen mode by pressing "normal"button. Hold Down the "Boost" and click for a small boost. 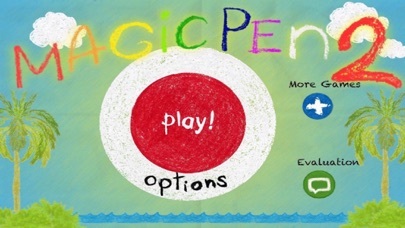 ( New function in Magic PenII ). Optimized for latest iOS and devices.